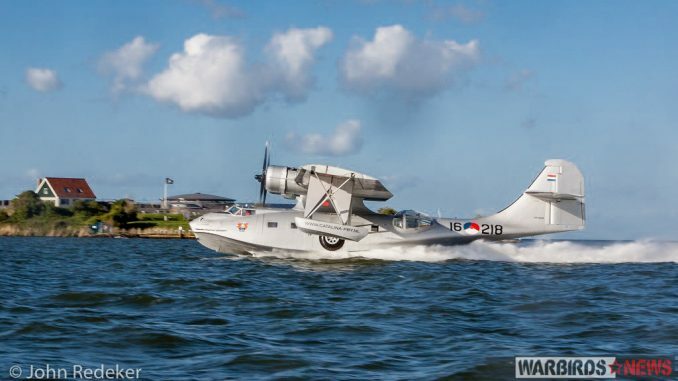 Once common in the skies just a couple of decades ago, there are sadly very few Consolidated PBY Catalinas flying these days, and almost none of them make water landings and take offs any more. Therefore it is wonderful to see one of them still active from the fourth element. 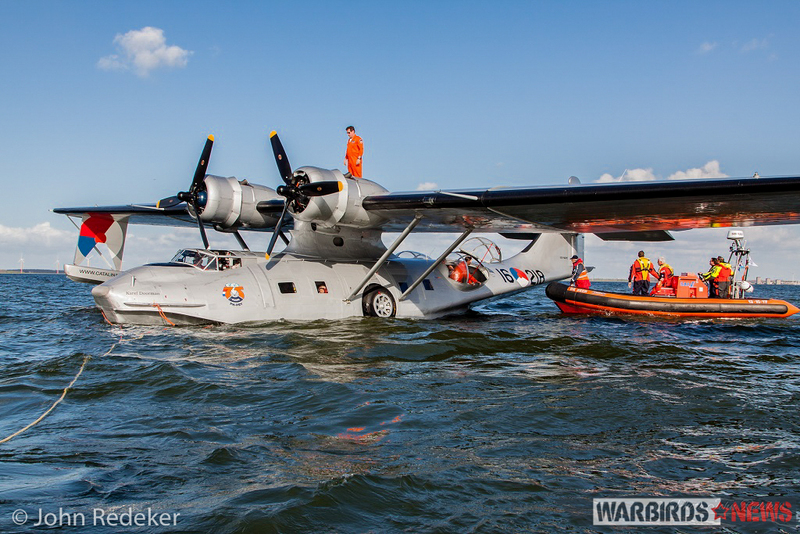 WarbirdsNews is happy to present this news item by Philipp Prinzing from our partners at Klassiker der Luftfahrt on the recent, post-maintenance flight of Dutch-based PBY-5A Bu.2459 featuring some lovely images by John Redeker. 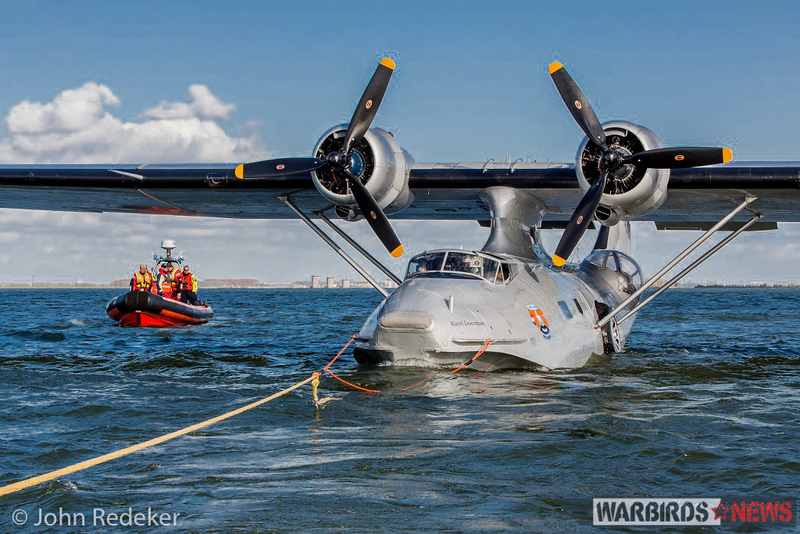 After more than six months in the hangar, the world’s oldest flying Catalina is back in the air again. The necessary maintenance work is complete, the crews trained and the machine is in peak condition. The first round of this year’s passenger flights recently took place. After winter maintenance, however the first guests on board the PBY were offered something even rarer for the season opener; a full-stop landing. 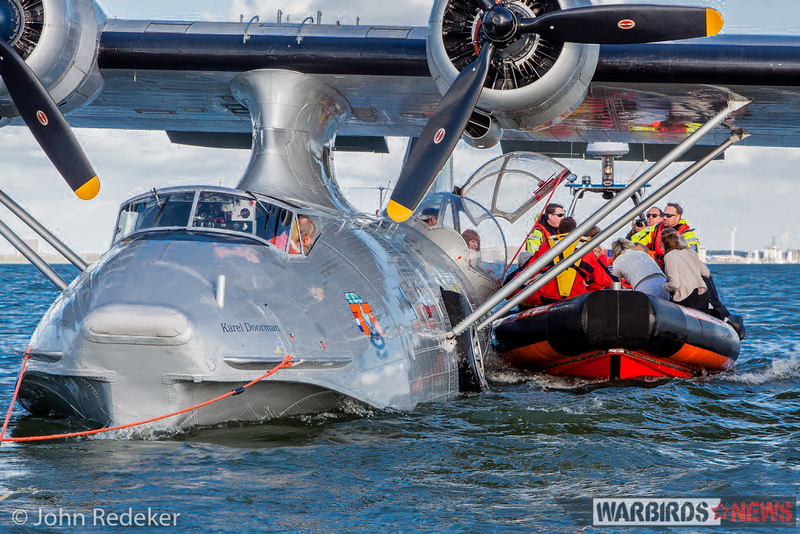 For this event, the PBY comes to a complete stop on the water and the passengers can even get out and be picked up by boat, like when flying boats really were the queens of the skies. It was a unique moment for those lucky few on board. This year, many special events are planned with the “old lady”, because 2016 marks her 75th birthday. Despite her advanced age, she is still going strong and rides are available at Lelystad every weekend until October. Those wishing to enjoy a flight should click HERE to see the schedule and HERE for booking. WarbirdsNews would like to thank Philipp Prinzing / Klassiker der Luftfahrt for his article and John Redeker for his marvelous photos. 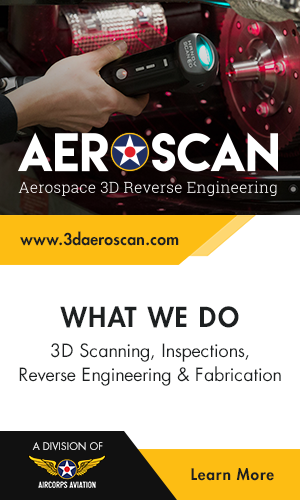 We look forwards to more collaborations in the near future!